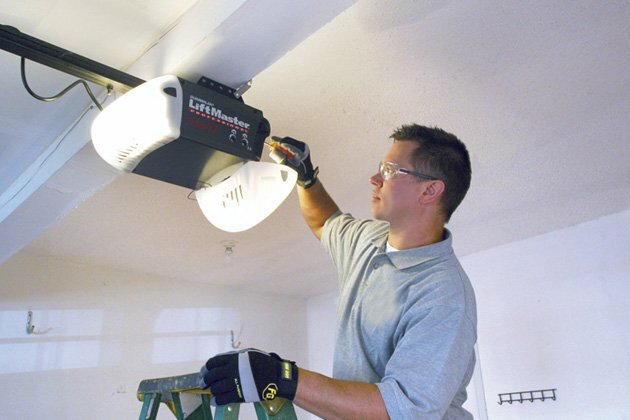 Garage Door Repair Richmond Hill provide full range of overhead door installation, maintenance and repair services. Our affordable services never compromise on quality. We work with high professionalism, high ethical standards and transparent pricing. From broken spring replacement to electrical garage door opener repair, we do everything. Our staff is dedicated to providing excellent service whether it is swing-out garage door, up-and-over door or slide-out model. Richmond Hill is a town situated in the southern portion of York region, Ontario. It is worldwide famous for David Dunlap Observatory that is the largest telescope in Canada. In recent years, the town has witnessed population upsurge and is growing at a faster pace. Due to modernization, all homes in Richmond Hill are well designed. Almost every household has a garage door installation that improves the home beauty. We are one of the leading garage door service providers in Richmond hill who have earned a reputation in providing all types of garage door services. Broken springs? Frayed cables? Off track doors? Our repair technicians are ready for whatever garage door task you throw at them. We stock a wide assortment of garage door parts, including openers, keypads, torsion/extension springs, rollers, and more. Do not hesitate to call us at any time or the day or night. Our service vans and technicians are on standby 24/7 to help you. Richmond Hill Garage Doors is a premier company dedicated to providing high quality garage door repair, sales, installation and maintenance services. We are a 24/7 business, serving residential and commercial client with our effective services and products. All our technicians are fully licensed, insured and certified to install/fix any make and model of garage door. Our years of experience, innovative solutions and dedication all combine to bring the best possible solution for you. No job is too big or too small for our professionals. We don’t like to brag about ourselves, so we would suggest you to call us once and feel the difference. Garage Door Won’t Open? We Excel in Garage Door Troubleshooting – Avoid Costly Services!